Thursday. Today was a very busy one. Got up and worked like bad all day. Was very tired, but there was only time to work. I was at it hard until four in the afternoon. Then I got a little break and went out to hang out in the atrium for a little while before working with Rodrigo to do a firewall swap out for a customer out in Denver. Firewall swaps are always a lot of stress because the network is offline, there is no way to look anything up from the old system, and everything has to be done over the phone with remote hands as there is no way to see the new firewall until it is in place. I basically did not get to eat all day. Just yoghurt and pickles. Karla was teasing me with pictures of her amazing looking Nicaragua fish fry that looked so good that I have to include the picture here. 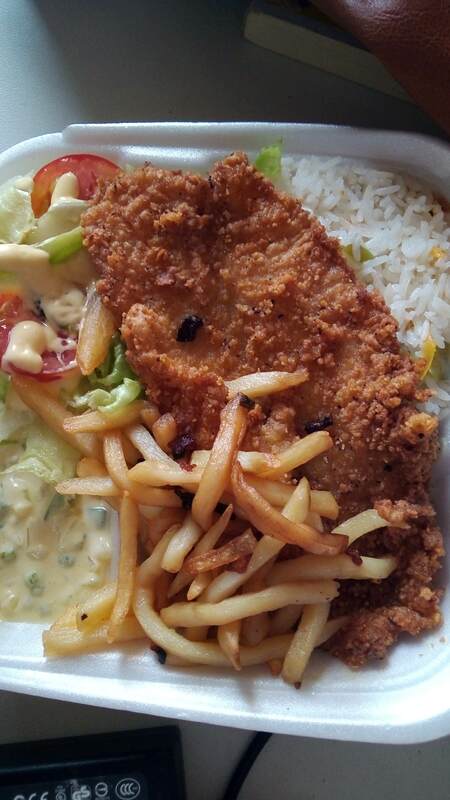 That is fried curvina, which is caught in the lake near Jinotega up in teh mountains. It looks so good. I’m pretty sure that Kat came over to hang out this evening, but for some reason, probably because I was so ridiculously busy all day and well into the evening, I failed to make any specific note that she was here. But it is Thursday night and the gap in my notes suggests that she was here and that that was why I was busy and not making notes because once I was done with work we were all sitting out in the atrium hanging out.